There are plenty of good travel cards out there. However, few are attached to such a flexible and easy-to-navigate program like Alaska Airlines’ Mileage Plan. With Alaska Airlines’ continued expansion and depth of travel partners (there are currently 17 partners, including American Airlines, British Airways, and Cathay Pacific Airways), it isn’t difficult to maximize value using the Alaska Airlines Visa Signature credit card. 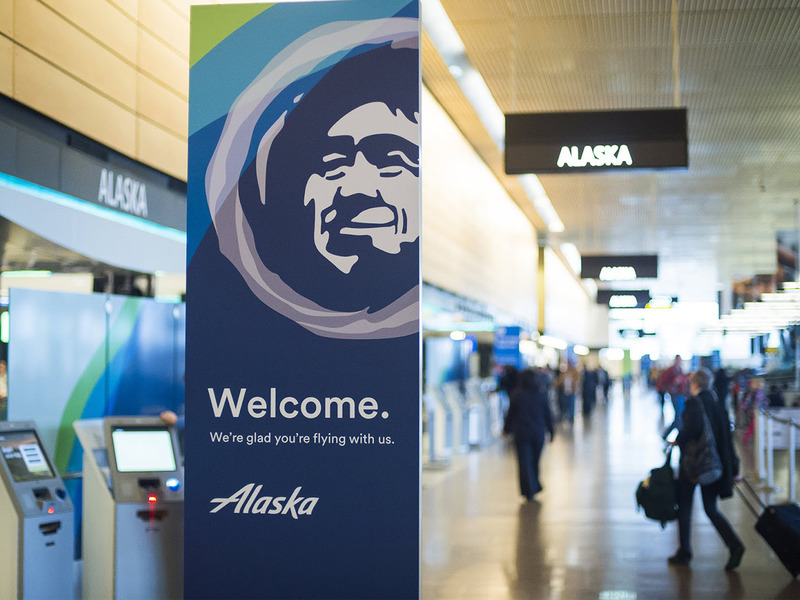 With its predominant West Coast presence, Alaska Airlines and its accompanying rewards program, Mileage Plan, tends to fly under the radar. Similarly, the complementing Alaska Airlines Visa Signature credit card is easy to overlook. It makes sense. Superficially, the card doesn’t seem too exciting. However, a couple of key features make it worth serious consideration, even for those who don’t fly Alaska Airlines frequently. To start, the $75-a-year card offers an assortment of typical benefits, including no foreign transaction fees and free checked bags for cardholders and up to six other guests on the same itinerary. Cardholders will also, naturally, collect accelerated earnings on purchases direct with Alaska Airlines. The card currently offers 3x miles for every dollar spent on Alaska Airlines purchases. While this is slightly better than comparable co-branded airline credit cards, it is dwarfed by the 5x points offered by the Platinum Card® from American Express. Albeit, the AmEx Platinum is a premium card with a premium price at $550 a year. Further, the sign-up bonus for the Alaska Airlines card is relatively low by airline card standards. For example, the Citi/AAdvantage Platinum Select World Elite Mastercard offers 50,000 bonus miles after meeting the $2,500 minimum spending requirement. The Alaska Airlines personal card sign-up bonus is a more modest 40,000 points. Yet, the Alaska Airlines credit card terms only require $2,000 of initial spending in the first 90 days to qualify for the bonus. There are no other bonus spending categories. All purchases outside of Alaska Airlines are rewarded at a 1:1 basis. Despite these relatively basic features, the Alaska Airlines card may still be worthy of a spot in your wallet for two reasons: the great value of the annual Companion Fare and the flexibility of Mileage Plus points. All eligible Alaska Airlines personal and business cardholders are offered a single Companion Fare discount code annually. The first code posts to a cardholder’s account between six to eight weeks after qualifying by meeting the minimum spend. Thereafter, it will be made available within two billing cycles after the account anniversary each year. The Companion Fare allows the cardholder to purchase a round-trip fare for a guest traveling on the same itinerary as the cardholder for $99 plus taxes and fees, which start at $22. This certainly isn’t as exciting as Southwest Airlines’ coveted Companion Pass, but Alaska’s Companion Fare is automatically granted, while Southwest’s Companion Pass is earned through substantial flying or credit card maneuvering. Securing a round-trip fare for a flat cost of $121 allows for a significant value play. Obviously, depending on the route, fares can reach far north of $121. This perk alone can easily cover the cost of the annual fee of the card. Know that the Companion Fare is only good for travel in economy and the accompanying fare cannot be booked as an award ticket. The good news is that the fares are still eligible for upgrades. Because the bookings are made as revenue fares, both parties will earn miles when using the Companion Fare. It’s a good thing, too, because Alaska Airlines miles are surprisingly useful. Of course, you can use them to book award travel on Alaska Airlines, but you can also redeem them on an impressive list of 17 transfer partners. These partners include major carriers like American Airlines, British Airways, and Cathay Pacific Airways, to name a few. The booking process on partner airlines is headache-free, with no point transfers or advanced strategies required. 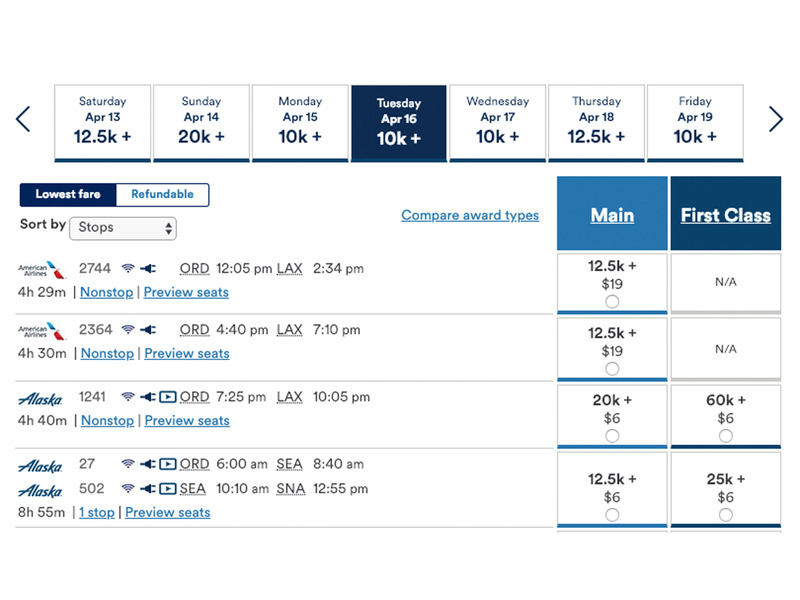 To find availability, simply head to Alaska Airlines and use the native booking engine. Available flights and award pricing will automatically populate after entering in specific route information. Partner airlines price award tickets differently, so don’t be surprised if costs vary somewhat. This flexibility and ease of booking makes Mileage Plan one of the better rewards programs around. Certainly, the Alaska Airlines route map is not as robust as other major carriers. But being able to use Alaska Airlines miles to book with partners increases the value of those miles greatly. There are plenty of good travel cards out there. However, few are attached to such a flexible and easy-to-navigate program like Mileage Plan. With Alaska Airlines’ continued expansion and depth of travel partners, it isn’t difficult to maximize value using the credit card. If you fly with Alaska regularly or are an airline free agent near an airport with frequent Alaska Airlines routes, this card is definitely worth a deeper look. Click here to learn more about the Alaska Airlines Visa Signature credit card from Insider Picks’ partner, The Points Guy.